The full area of the water is about 68 hectares, that is 680 000 m2, from which 31 hectares (380 000 m2) is on sale now and in private property. The length of the whole backwater is about 8 kilometres, the width is approximately 35-40 metres, the depth is 2 and a half metres, somewhere it even reaches the 8-10 metres. About a bit more than the half of the whole backwater belongs to the Kiskunsági National Park. Both parts are equally beautiful, and the surroundings are under nature protection. The half of the backwater has been in private property for more than 20 years. Nowadays it is fashionable to buy an island, why one does not want to have a backwater if he/she can afford? 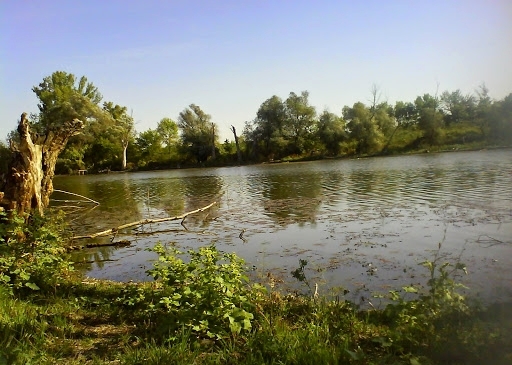 The Szikrai Tisza Backwater is quite reasonable as an investment: you do not have to spend on it if you do not wish to since it is fully in its natural condition as it can be seen in the photos. However, you are allowed to fish there by a fishing rod or a traditional net, or you can simply enjoy the beauty of the nature from a small boat. 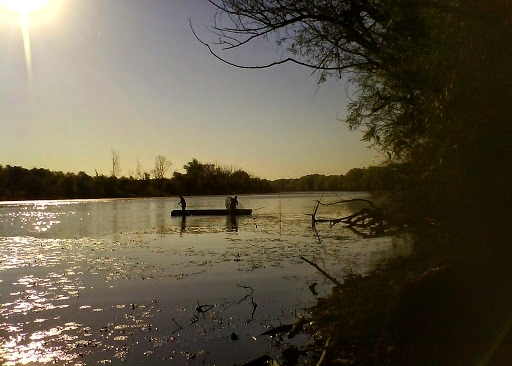 Buy this wonderful backwater and you will also gain the perpetual fishing rights. If you are not satisfied by having 31 hectares, you can buy another 10 from private property. One can see protected plants on the surface of the water, such as white and yellow water lilies. The shore is lined by nature protected areas including forests, to mention only some of its plants: oak and ash trees with mulberries and creepers on – somewhere it looks like backwoods or a virgin forest with its untouched natural beauties. The area might have been named after its landscape since “T-őserdő” means backwoods or virgin forest. 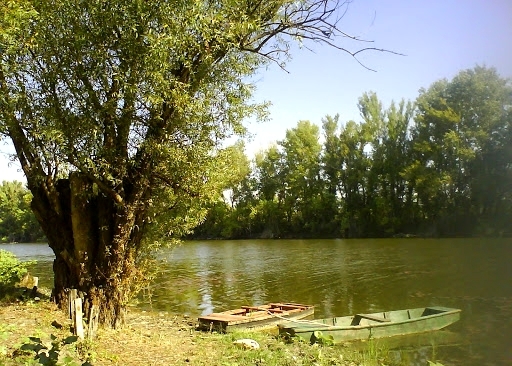 The backwater is closely connected to the popular resort area, Tőserdő, which attracts Hungarian and foreign tourists with its natural beauties and famous thermal waters. There are more smaller towns around but Kecskemét, the most dynamically developing city of Hungary, is the biggest one and the seat of the county, it is about forty-minute-drive of the property on sale. The area of Kiskunsági National Park and the Szikrai Tisza Backwater are under nature protection. One can find all the typical fish, birds and mammals of the Carpathian-basin. To mention only some birds: white and black storks, black woodpecker, heron, seagull, beaver and otter. In the past few years, more and more foreigners discover this area and fall in love with its beauty, such as, Germans and Hollands, both nations like to buy property and settle here. Now you have the possibility to buy a part of the Szikra Tisza Backwater, this stunningly beautiful area. The 31 hectares of the water is on sale and can only be bought in its whole. International estate agents are also very much welcome.